Free wifi signs are everywhere. 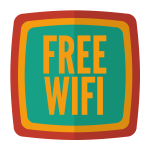 Coffee shops, health clubs, restaurants, and pretty much anywhere people congregate, free wifi can be found. While it’s become a given for many small businesses to offer, too many provide it without getting anything in return. Add on to that the security hassles, the need to update passwords regularly, and the challenges involved with maintaining the legally required DNS filtering, and this little service add-on can become a liability. Eliminate passwords as your guests can now log in using one of several social media accounts. Feature a branded landing page with multiple options at your fingertips. Easily lock out anyone at your discretion. Currently being offered in Grand Rapids, Michigan, Chicago, and Pittsburgh, we are looking to expand our installation base quickly. 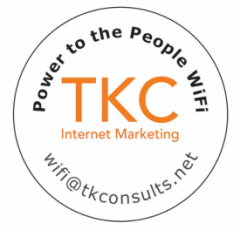 Reach out to TKC and mention this post for a FREE 30 DAY TRIAL for qualified businesses in Chicago, Grand Rapids, or Pittsburgh.